I was looking to cheer myself up from the cold January weather and toothache, so I went through my photos of Morocco. 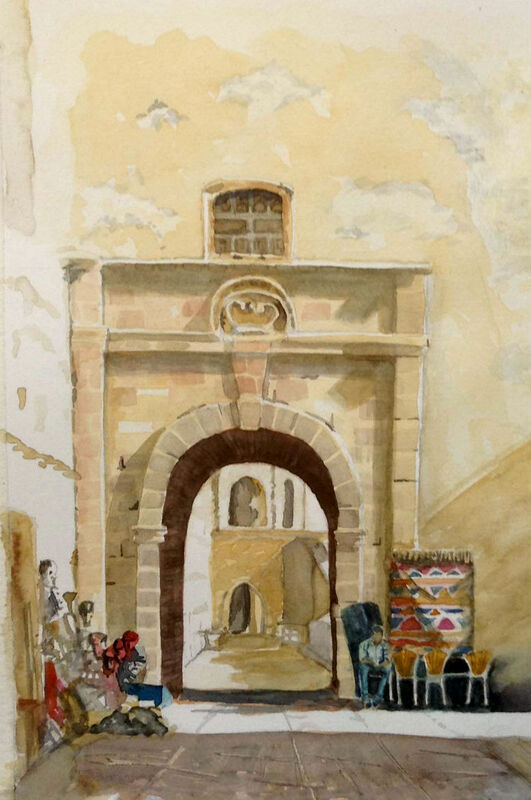 I found a picture of an archway in the Essaouria Medina. It has lovely warm colours, depth, and interest in the traders on each side. The shops are busy and I wasn’t sure how detailed I should go. I’m focusing on composition at the moment and I find this really difficult. I made several sketches and looked at options using the computer screen and decided on a portrait shape with the focus on the archway. 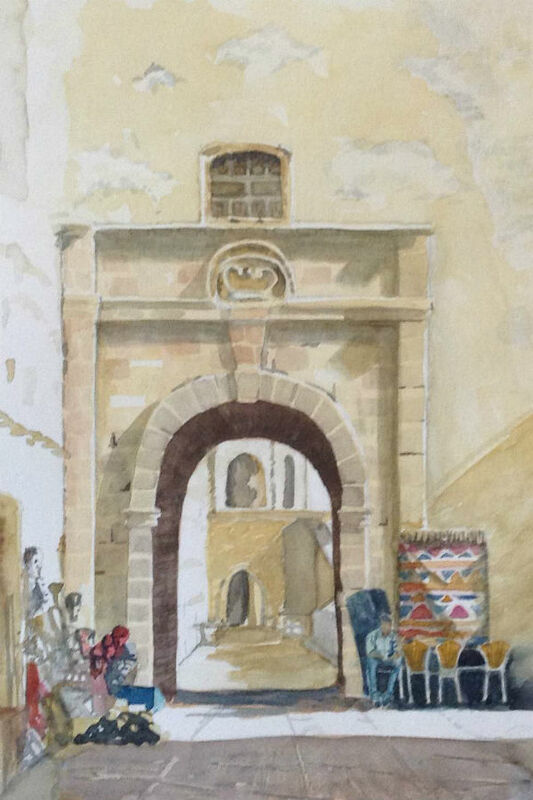 I’ve kept the colours soft with the main shadow under the arch. There is more detail for those who look a little more deeply as I wanted rewards for the viewer and not give everything away immediately. For those who went to Morocco I hope it captures the essence of the place. I think there is quite a difference!